When you think “Swedish” or “Scandinavian”, what usually comes to mind is minimalist architecture, harmonious rooms that blend rustic and comfort, and perhaps, IKEA. 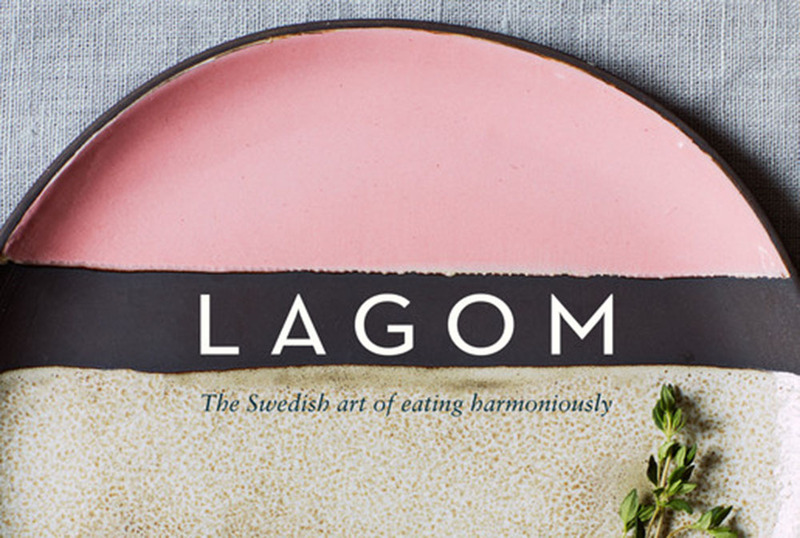 Their cuisine follows this same pattern, using the concept of Lagom – embracing food that is good for the body and soul, delicious and sustaining. This cookbook by Steffi Knowles-Dellner showcases Swedish cuisine at its best. Each recipe seems simple on the outside – a few raw ingredients and delicious spices, with limited steps – but reviewing the cookbook as a whole reveals a wider culinary breadth. Each of the six chapters include recipes that balance flavour and texture, using just enough ingredients to be interesting. Many of these recipes are very healthy. In fact, most incorporate whole foods and raw ingredients, to limit (one assumes) the consumption of processed foods. Except, perhaps, the desserts and baked goods section. But if you stick with the precepts of Lagom, you should balance healthy eating with some indulgence every so often. Right? The 192 pages of recipes includes stunning photography that complements and enhancing the cooking experience. I personally love being able to see what the dish is supposed to look like when I’m done, and these photos are accurate and, more importantly, attainable. I tested out the lemon-roasted potatoes (see recipe below) on page 50. It was very easy to follow and all of the ingredients are readily accessible at any grocery store. Unlike other super-healthy cookbooks, I didn’t have to search multiple whole foods and health food stores to find ingredients. For my household of two, I halved the recipe. But the potatoes were good enough that I should have just made them all. You can pick up this hardcover cookbook at Indigo. Begin by thinly slicing the potatoes, about ¼ cm [1⁄8in] thick. The easiest way to do this is to use a mandoline or the slicing attachment on a food processor. If you are doing it by hand, make sure you have the radio on and a comfortable seat as it will take a while. Place the slices in a large bowl of cold water as you go. Preheat the oven to 200°C/400°F. Drain the potatoes and pat very dry. Next, stack the potato slices lengthwise and upright in a large ovenproof dish with high sides, about 35 x 20cm [14 x 10in], so the cut sides are facing you. Pack them tightly so that they support each other to form long rows.